Increase efficiency, comfort, and control inside and outside of your home or office. As a Control4 dealer Onteriors delivers the highest quality products and services tailor made to suit your needs. Because every project is unique, so is every Control4 solution. 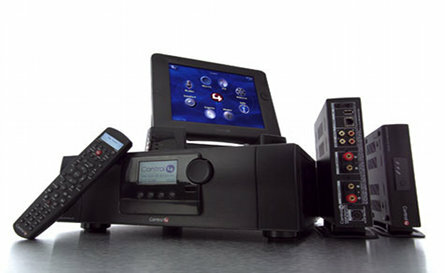 With Onteriors, you're working directly with a certified Control4 dealer to design a system that will do everything you want it to do for your home or business. Expertise does matter. And Onteriors delivers. Timeliness. Job completion on schedule. Working within specification and a budget that makes sense. These are the objectives Onteriors applies to every contract we enter. We want to be part of your team and the solution to your needs. Create the environment you desire - inside and outside of your home. Whether it's a home theater or the perfect outdoor ambience you seek for entertaining friends and family, Onteriors delivers seamless results at a price that makes sense. Whether you require retrofitting your already beautiful home or office space, or starting from scratch on new home construction, remodeling, or tenant improvements already underway, Onteriors creates solutions for any stage of development. Ambience, customer experience, an inviting atmosphere that transcends concious awareness - these are the elements we help deliver. From perfect lighting, to sublime sound, and a seamless balance of visual media - we understand your vision. In today's world technology and automation pave the road to efficiency. We lay that pavement for you in the form of the best visual and audio equipment available to suit your needs - then we top it off with intuitive automation that works every time. Most people don't know why they like a space when they first enter it. They just like it. Onteriors understands the importance of visitor experience and blending in to the environment - over which we give you complete control. Onteriors is an incredible company to do business with. They are a well run family-owned business that treated us like we were part of their team. Onteriors delivered exellent products and service on schedule and hassle-free. We were stuck on which contractor to go with for our home theater installation. We finally decided on Onteriors. They seemed to be incredibly professional and listened to all of our concerns. I would recommend Onteriors to anyone - and have. The people at Onteriors were incredible. Building a custom home comes with its challenges and Onteriors took all the headache away when it came to home automation. They delivered exactly what they promised and then some.